In our United Methodist Hymnal, we have 51 hymns that were written by Charles Wesley. There are also 8 poems and 6 responses by him. We know that he wrote many more hymns than we see in our hymnal. I want to focus on the word “written.” Many people assume that Wesley wrote both the hymn tune and the text. However, Wesley only wrote the texts to the hymns. Part of his writing process was to find hymn tunes that had been written by others and he made his text fit with the melodic and rhythmic flow of those tunes. If it was a somber text, he would find a tune that was slower and perhaps in a minor key. If it was an uplifting text, he would use a tune that was faster and in a major key. So, for Wesley, “writing” a hymn had nothing to do with composing a melody, but in matching a text to a melody. Many hymn writers work this same way. Take a look at the very bottom, left-hand side of any hymn in your hymnal. You will see that that the words and music were written by two different individuals. On the bottom, right-hand side of the page you will find the name of the hymn tune. And, if you browse through your hymnal, you will see that there may be several hymns that use the same hymn tune. Same tune – different text. Often times, the text writer never even met the tune composer! I once taught a Sunday School series on Hymns. My homework to the group was to choose a hymn tune that they particularly liked and write a text that would fit with it. It was a great opportunity for us to be creative. During the next class, we sang their hymns. I was most impressed with the hymns that were created by that Sunday School class. In fact, we all liked one of them so much that we sang it in worship the following Sunday. What an empowering exercise! That class member’s work became a valuable part of our worship service. I would present this same challenge to you. Try to write a hymn text to a tune that you like. Turn your inner thoughts and voice into a wonderful musical creation. Discover what you can create. 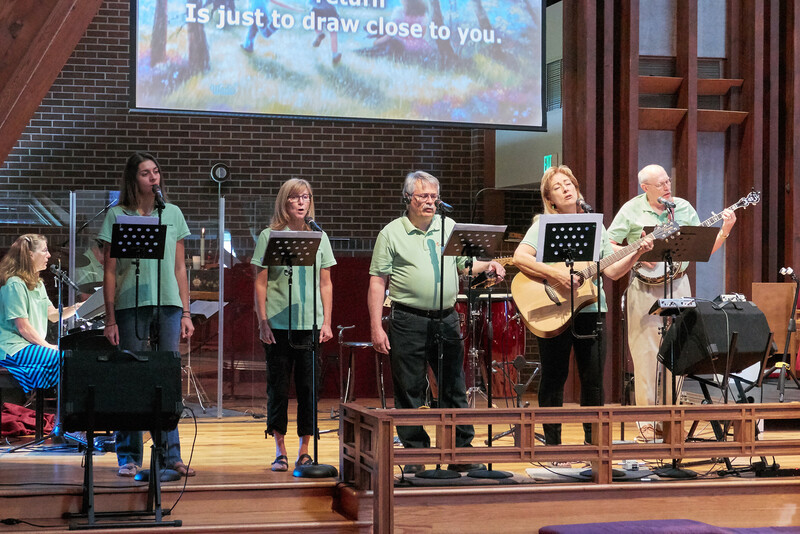 And, just maybe, you will realize that hymn writers are just like everyone else – the only difference is that they take the time to put pen to paper.